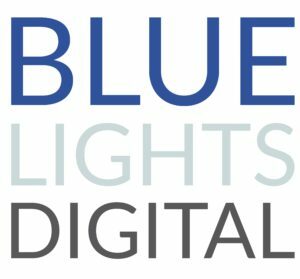 Blue Lights Digital are a leading Investigations and Intelligence services company. We lead and support complex international investigations and assist law enforcement, intelligence agencies and corporates to grow their Digital Investigation Intelligence capability with bespoke platforms/services and continual professional development (CPD).We believe digital media investigation is no longer a specialist role. It’s a competency everyone in law enforcement and private sector investigation now requires. To meet the ever-changing face of digital evidence and Cybercrime, specialists and support resources not only need to be accessible immediately, they need to continually craft their skills.That’s where Blue Lights Digital come in. Besides being the Home Office Learning Partner and supplying Crypto Currency Investigation to the Metropolitan Police’s Falcon teams, we have an enviable list of UK and international customers. If you require help with emerging threats, crime and terror-based risk, we are the Blue Lights Digital you have been looking for. EVOLVE is a single source of reference that enhances digital capability by effectively delivering digital and cyber skills and access to online resources to an entire organisation through a mobile application. BEAUTIFUL CONTENT – EVOLVE’s content comes alive for individual users with a regularly updated, accessible knowledge bank ensuring information meets national standards. STEP WORKFLOWS – EVOLVE’s initial incident response section provides easy to follow, interactive workflows and allows users to work through live situations according to local policies and procedures. Staff across your organisation will have clear and concise guidance anytime, anywhere. GROWING PORTFOLIO – EVOLVE enables access to the Blue Lights Digital Academy for cutting-edge further education, designed in collaboration with subject matter experts and law enforcement organisations. LIVE SUPPORT - EVOLVE incorporates an investigative support desk, staffed by trained, experienced Digital Investigators and Subject Matter Experts, to provide advice and guidance in real time. EVOLVE has a range of subscription-based modules, aligned to cybercrime and digital investigation disciplines. Forces receive monthly reports on user engagement, support desk response times, and an outline of content updates during each period. We work to improve solutions daily, weekly and monthly, enabling your organisation to instantly mainstream response to digital and cybercrime.